★ Compatible with all Opencart versions. ★ Super easy install in seconds! -> See video ★ Included full documentation to generate Swish certificates. 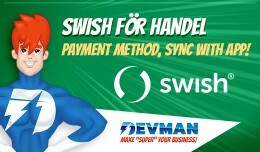 ★ Sync Opencart orders with Swish mobile app. 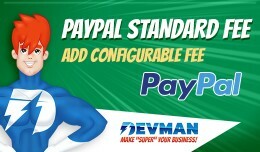 ★ 100% multilanguage compatible, tra..
Paypal Fee / Commision Opencart Extension ✔ Add fee to "Paypal standard" method of Opencart ✔ Configure "Minimum fee", amount fixed. ✔ Configure "Fee", percentage. 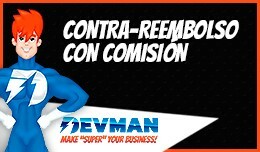 ✔ Configure "Tax" to apply to fee. 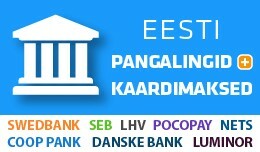 ✔ Configure "Payment metho..
Kaardimaksed ning pangalingi maksemeetodid järgmistele pankadele: Swedbank, SEB, Luminor / Nordea, Coop Pank, Danske Bank, LHV ja Pocopay Kasutab uut turvalisemat pangalingi protokolli! Kaardimakseid töötleb Nets Estonia AS, mis aktsept..
Cash on Delivery charge Lite Version Feature No VQMOD or OCMODE Require. 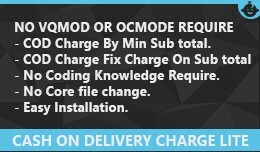 - COD Charge By Min total of order total ***Pro Version Feature*** No VQMOD or OCMODE Require. 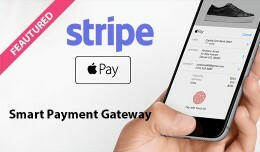 - COD Custom Label in payment method at checkout page - ..
Cash on Delivery Charge COD Fees Opencart Lite ..
NEW: Discover our Stripe PRO version with Apple Pay support Developed by OpenPayments company, trusted by thousands of users. 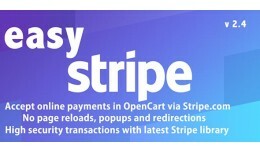 Supported OpenCart versions: 1.5, 2.0, 2.1, 2.2, 2.3, 3.x Supported languages: english, french, russian > OF..
(1.5/2.x/3.x) Stripe Payments PRO :: Apple Pay &.. Comments are for pre-sale questions and ratings only. Read the extension store policy. To get support please open a ticket. Thanks. 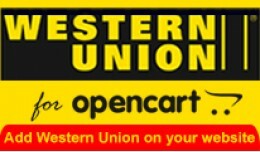 Contrareembolso con comisión 100% configurable Tendrás un nuevo método de pago llamado "Contr..
Western Union payment module is the extension that allows you to accept payments on your website from customers from all over the world. 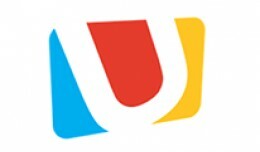 Western Union is a safe method of payment widely used in many countries, especially in those where o..
Modulo di pagamento per ricevere ricariche postepay sul tuo sito web. 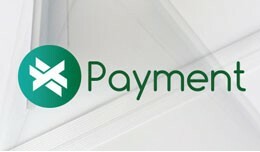 Il prezzo del modulo di pagamento Postepay è di 30$, Compralo subito e RISPARMIA 10$. La promozione termina OGGI. 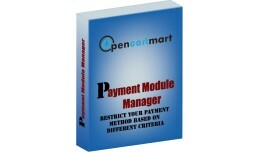 Questo modulo è compatibile con Opencart 1.5.x e..
CASHU Payment Integration Description: ✔ This extension will give you the ability to add CASHU payment gateway as a payment option to your customers. ✔ A checkout button will redirect the customer to the CASHU payment page, From there; ..
Uyumluluk: v3.0.x Kurulum & Destek Rehberi için tıklayınız! * Ücretsiz güncelleme, sürekli teknik destek! * Tüm Bankalar + Seçkin Ödeme Kuruluşları ile anında ödeme ve 3D Güvenli ödeme için TEK MODÜL! 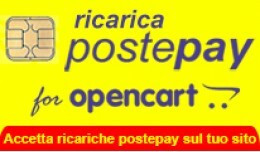 *V1.03..
OpenCart SanalPos PRO! (Tüm Bankalar + Seçkin .. 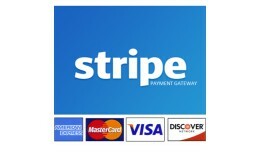 This OpenCart extension allows you to accept credit cards directly on your site through your Stripe.com account. 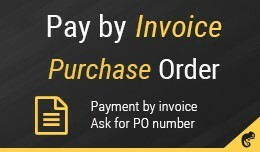 The extension provides seamless checkout flow - users enter their credit card details during the checkout process and never leave yo..
Instamojo Instamojo is a free Payment Gateway for 6,00,000+ Businesses in India. 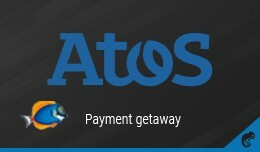 There is no setup or annual fee. Just pay a transaction fee of 2% + ₹3 for the transactions. 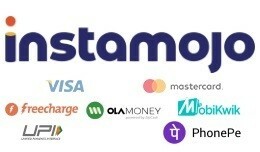 Instamojo accepts Debit Cards, Credit Cards, Net Banking, UPI, Walle..